12 fab beauty gifts for everyone on your holiday list. Including you! If you’ve got someone who already snatches up all the hot new makeup gifts for herself, you can’t go wrong with cosmetic tools. We were both swooning over this Glitter O’ Clock limited edition brush and clutch set ($78, in-store) which is absolutely amazing in person. We’re big fans of Sephora Collection brushes, which have the quality as those with big designer names but are so much more affordable. The stylish clutch makes a fun addition to a holiday party outfit (hello, New Year’s Eve), and definitely makes this more gifty than your typical set. You will find no shortage of Kat Von D products in teens’ makeup bags and we adore it too! 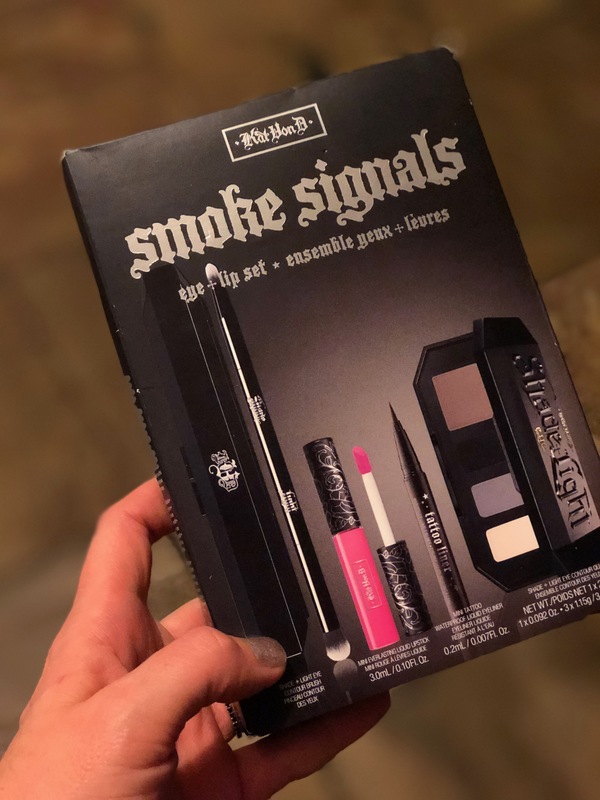 If you’re shopping for an older daughter, niece, granddaughter or friend’s daughter, run out and grab her the new, exclusive Kat Von D Smoke Signals Eye and Lip Set ($28, in-store). It’s got everything she needs finally nail that smokey eye they’ve been practicing thanks to YouTube videos. Just ask Kristen’s teen who saw the set…and immediately snatched it up herself. 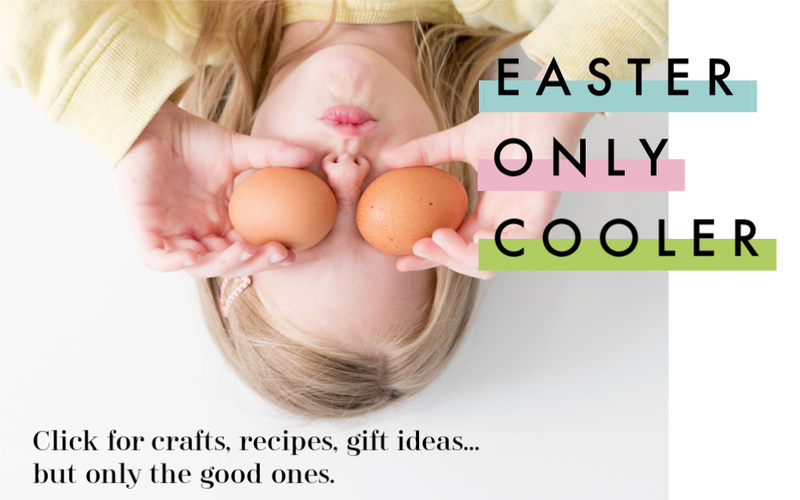 Who needs a little extra care and attention this season? Maybe your nanny? Your own mother or grandmother? Your BFF? 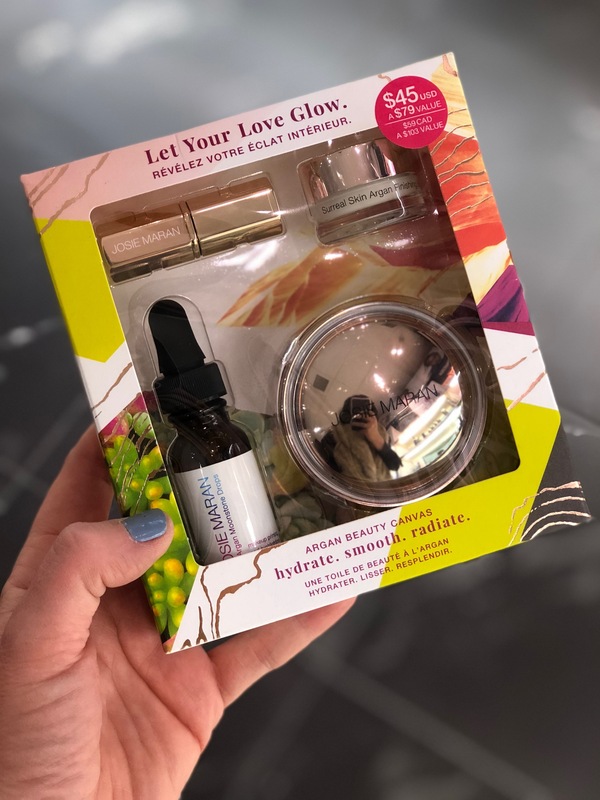 Especially in this dry, cold weather, we’ve become total fans of Josie Maran Argan Oil who’s out with a new, limited-edition Argan Beauty Canvas gift set. ($45 online or in-store) It combines a few of her best-known products into a lovely set that will surely make for a special treat for someone on your list who needs some end-of-year TLC. Liz can’t stop raving about the NARS Love Triangle Lip Duo ($22 online or in-store). 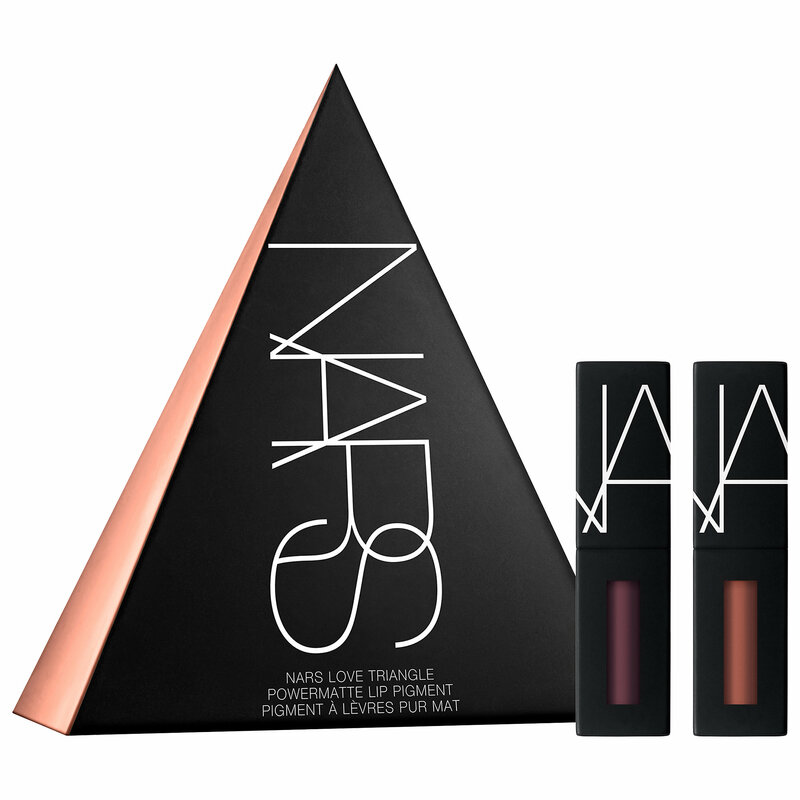 It’s a fun gift set of two Nars stay-on lip colors, each with clever rock song names like Rock with You and London Calling. (Clash FTW!) Her favorite is Under My Thumb which is the perfect dark berry shade, and she can’t believe it stayed on her lips for an entire night, even through drinks and dinner. Super chic gift for a party gal — or even a mom in need of a date night, ha — at a really nice price. 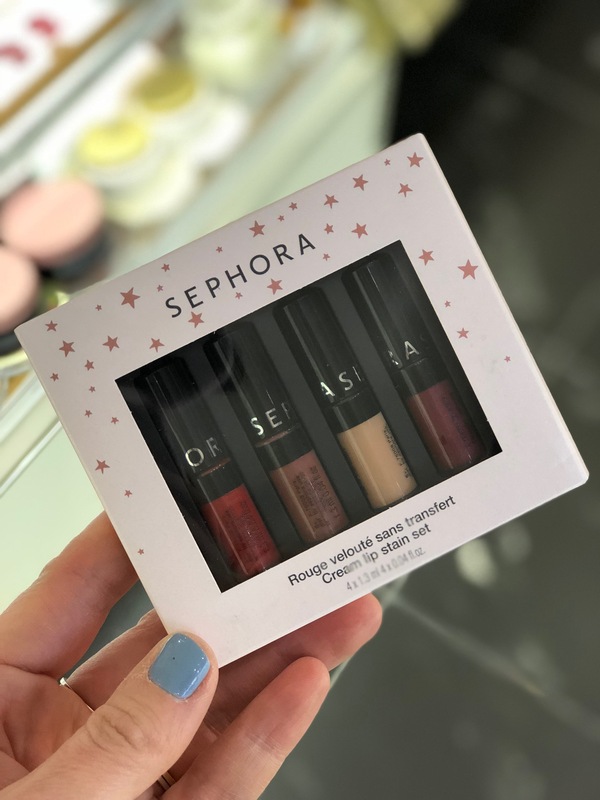 Alternative, Kristen loves the Sephora Collection Cream Lip Stains ($12 in-store), now available in a cute little 4-pack for an amazing price! Whoa. Nice way to give a variety of colors at a really sweet price. Our pro tip for both of them though: Consider adding a little gloss over them (Fenty Gloss Bomb, perhaps?) to keep lips moist and kissably soft. Beauty gifts for the gaggle of your tween or teen’s friends she JUST told you she needs gifts for. A beauty gift for everyone’s stocking. Because who can’t use one more cute thing? 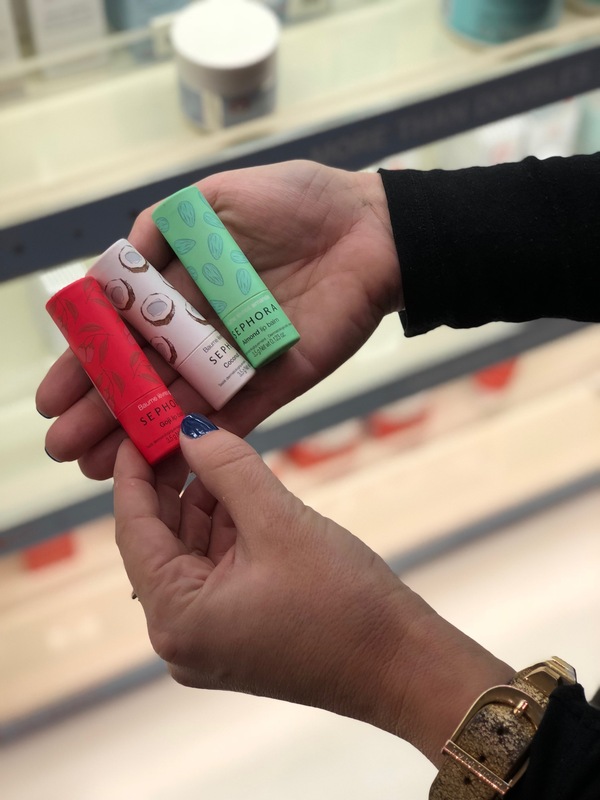 Kristen never leaves home without her Sephora Coconut Lip Balm ($6 online or in-store) in her bag — unless one of her kid’s has stolen it (Kristen’s note: They stole it). All the scents will keep lips smooth and soft during the harsh winter months, plus they’ve got SPF which we insist on. Plus, if you grab the coconut, almond and goji berry balms like the ones seen here, you’ve got some awesome holiday colors. A beauty gift for the skin care-obsessed woman who loves trying new things. 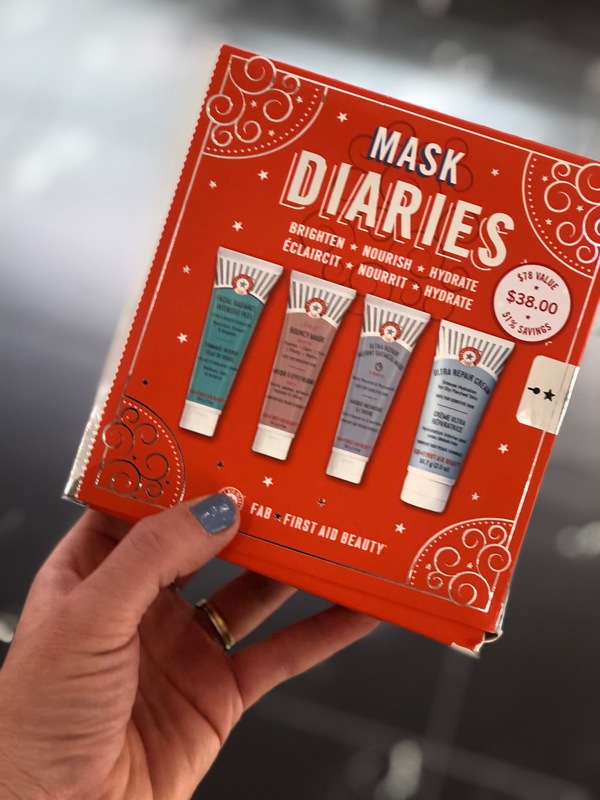 The clever packaging of First Aid Beauty’s new, limited edition Mask Diaries Gift Set ($75 value for $25, in-store) caught both our eyes immediately. 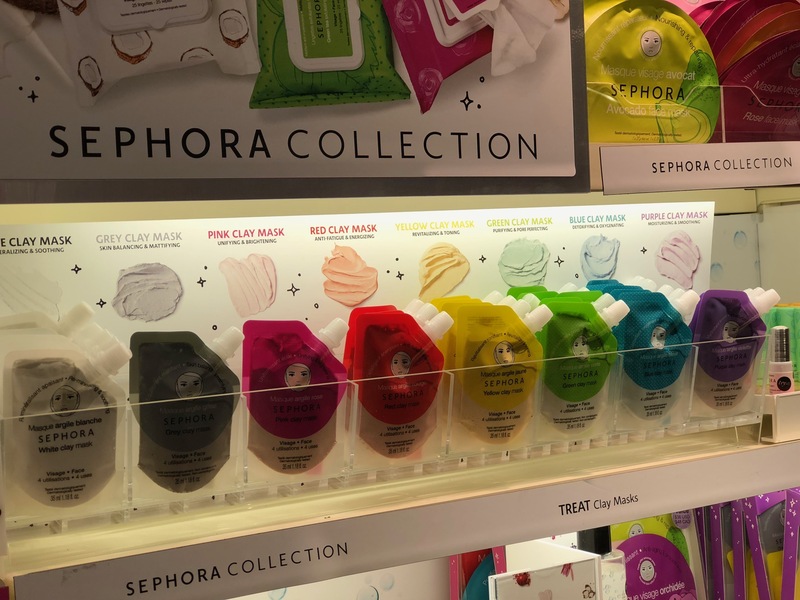 It looks like a set of books from the side, but it’s actually a fabulous assortment of face masks from a cult-favorite brand, and anyone who’s obsessed with skincare products will be so excited to try them all. We’ve featured all kinds of Sephora brand gift boxes in our gift guides over the years, and for good reason. 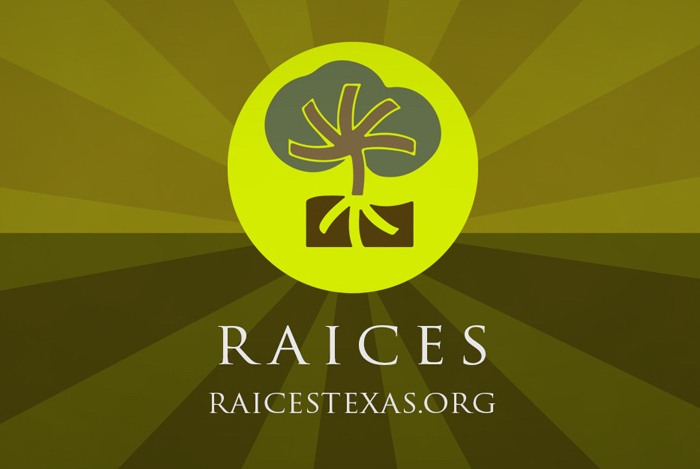 You get an amazing value on a wide array of products from really great brands. 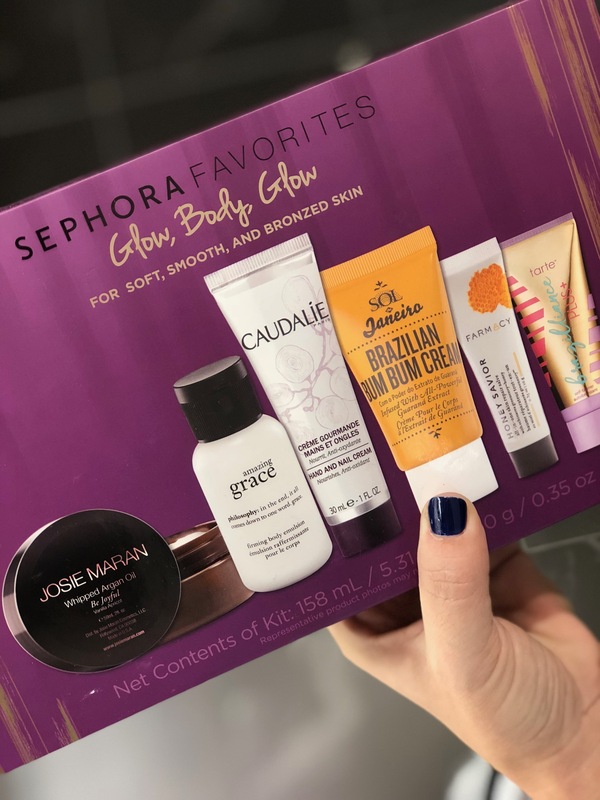 A new favorite spotted at Sephora Inside JCPenney: the collection of Sephora Favorites Gift Sets (Glow Body Glow seen here, available in-store), or the more affordable but no less fabulous Lip Boldly Gift Set (at very top, $28 in-store). If you’re shopping for someone in your life who’s indecisive, or doesn’t usually buy beauty products for themselves, these gift boxes are perfection — and may turn them onto a new favorite. A beauty gift for a high-powered businessman…or someone who just wants to smell like one. Don’t forget about pampering the men in your life! 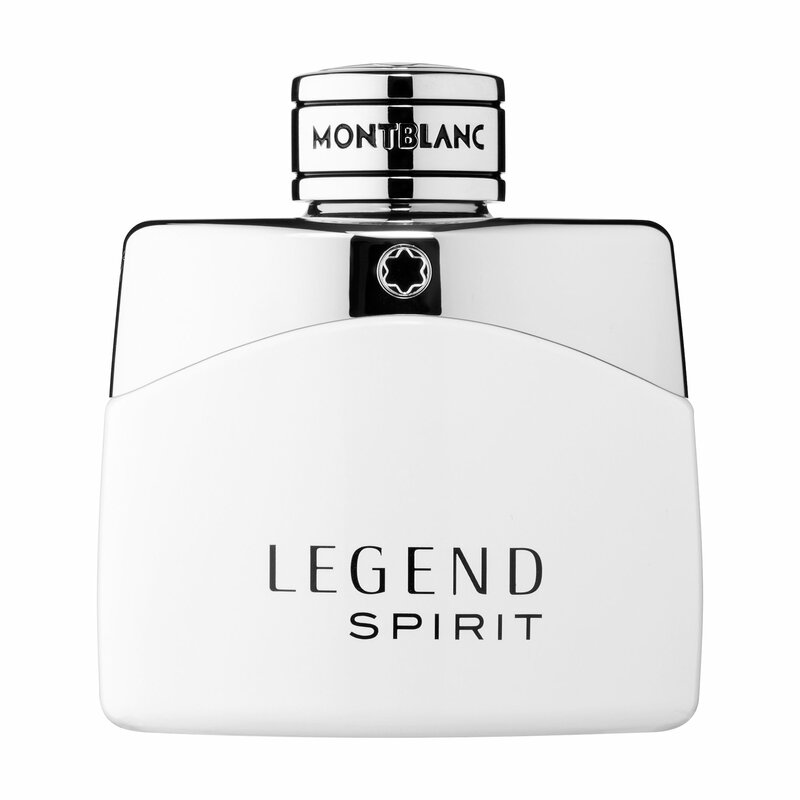 We found lots of great options at Sephora inside JCPenney, like this Mont Blanc Legend cologne ($68 online or in-store). We smelled it in-store and wow. Big thumbs-up. We love that such an iconic executive brand has branched out into the beauty and fragrance space making it a really cool gift idea that he likely doesn’t have. A beauty gift for yourself, because you deserve it. 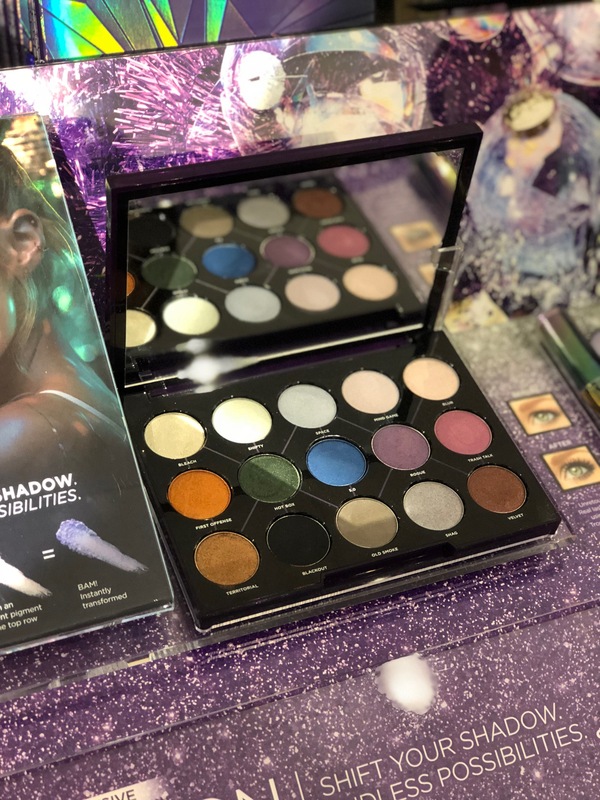 If you haven’t yet found a little something special for yourself, may we recommend you treat yourself to the new, exclusive to JCPenney inside Sephora, absolutely spectacular Urban Decay Distortion Palette. ($48, in-store) Just ask Liz, who has deemed this her new favorite palette. The colors are beautifully saturated, offering 5 glitter and coordinating matte shades. Perfect for day-into-night makeovers when you’re ready to get your sparkle on. Trust us when we say you’ll be so glad you splurged on this palette for yourself. Just be sure to hide it from your children. We know things. Thanks so much to our wonderful sponsor Sephora inside JCPenney for making it super easy to do some last-minute beauty shopping for everyone we love. 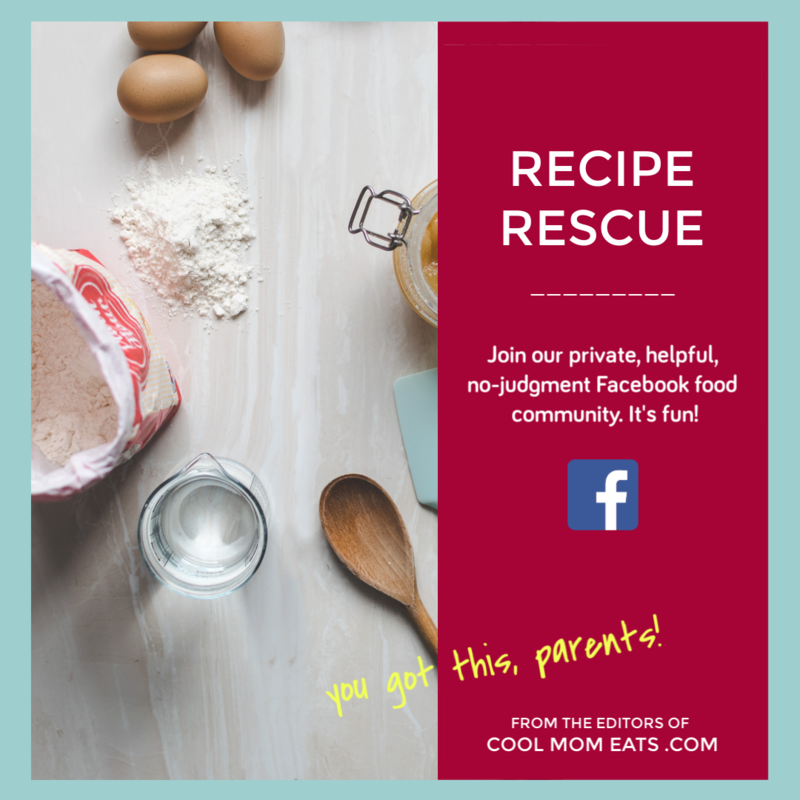 (And helping us find some new products we love for ourselves, while we’re at it!) Don’t forget, while you’re in store you can get a FREE mini holiday makeover. It’s worth the 15 minutes!